With Twilight fans already camping out for the Breaking Dawn premiere this Wednesday, I thought now would be the perfect time to talk about a rather vampy new fragrance range. Let us bask in the utter weirdness that is Blood Concept. 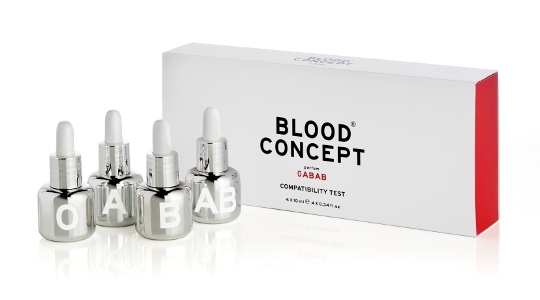 Blood Concept is a brand new Italian perfume house driven by the unique idea of creating four different scents especially for each blood group - 0, A, B and AB. You would be forgiven for jumping to the grotesque conclusion that this range either contains blood, or smells like blood (I did), but it doesn't! Not only would that be completely gross, but most certainly extremely illegal too (unless it was unicorn blood or something, that would be pretty cool). In fact, these perfumes don't contain any far out and freaky ingredients, but they are certainly anti-floral, with a distinctly 'metallic' note that lingers on the skin. These fragrances are a little difficult for me to describe, because I am yet to try them and there's not much information on the Blood Concept website - how very elusive! I think this is actually quite a clever marketing angle - the less information provided, the more mystery surrounding the product, thus enticing inquisitive types like us into the store for a sniff. What I can tell you is that these scents are unisex and contain spicy, earthy components, rather than traditionally girly ones. You can go for the one that matches your blood type, or just choose your favourite, though I think it'd be more special to go with the first option. Blood Concept is available exclusively at Liberty London. 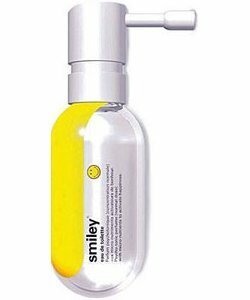 The 60ml spray fragrances retail for £98 a pop, the 40ml 'droppers' are £115 and the 'Compatability Test' containing four 10ml fragrances is £88. In keeping with the quirky concept theme, here are a couple of 'unique' fragrances I've come across in the past. 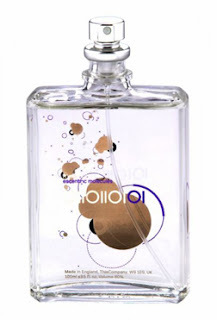 This cult fragrance is based around a single ingredient known as Iso E Super which reacts with individual body chemistry to create an alluring, pheromone effect. :o. On its own it has a woody smell - sort of like cedar or sandalwood, but transforms significantly from one person to the next.I'm a fan of woody scents and I think this one is an interesting concept. What do you think? Do you like a scent that pushes the boundaries, or do you play it safe with your perfume?